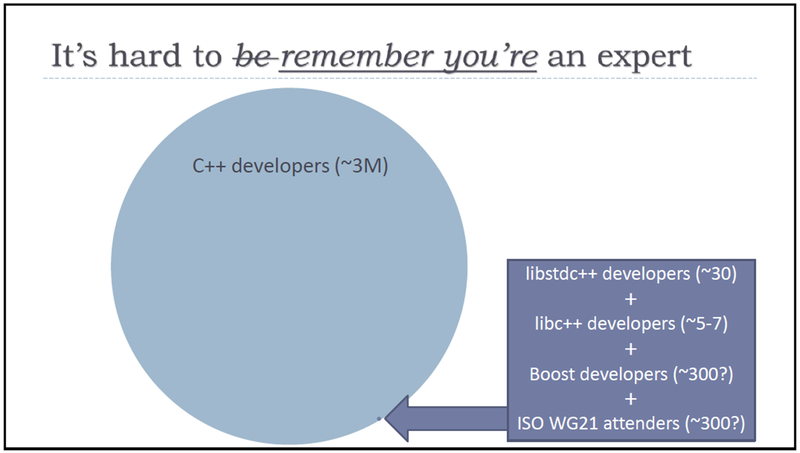 It’s been 5 years since modern C++ arrived on the scene in the form of the C++11 standard. Prior to the arrival, C++ was notorious for memory leaks and segmentation faults due to the lack of standardized smart pointers (although third party library and home grown smart pointers have existed for decades). Dangerous, naked news and deletes could be found sprinkled across large code bases everywhere – hidden bombs waiting to explode at any moment during runtime. ISO WG-21 C++ committee convener Herb Sutter, a tireless and passionate C++ advocate for decades, presented this poster in his CppCon 2016 talk “Leak Freedom In C++: By Default“. Go watch it now. The caveat is that we only got them for free if we didn’t manually override the compiler and write them ourselves. And unless we defined reference or pointer members inside of our type, we didn’t have to manually write them. 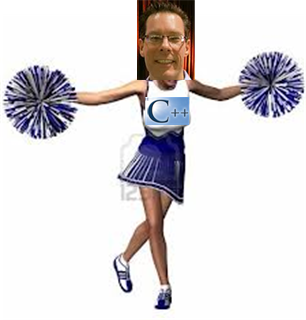 In addition, all of the C++ standard library containers have been “move enabled“. When I first learned how move semantics worked and why this new core language feature dramatically improved program performance over copying, I started wondering about user-defined types that wrapped move-enabled, standard library types. 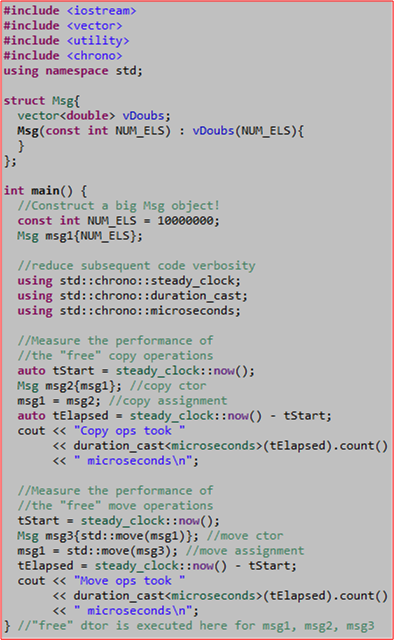 For example, check out this simple user-defined Msg structure that encapsulates a move-enabled std::vector. Logic would dictate that since I get “move” operations from the compiler for free with the Msg type as written, if I manually “moved” a Msg object in some application code, the compiler would “move” the vDoubs member under the covers along with it – for free. 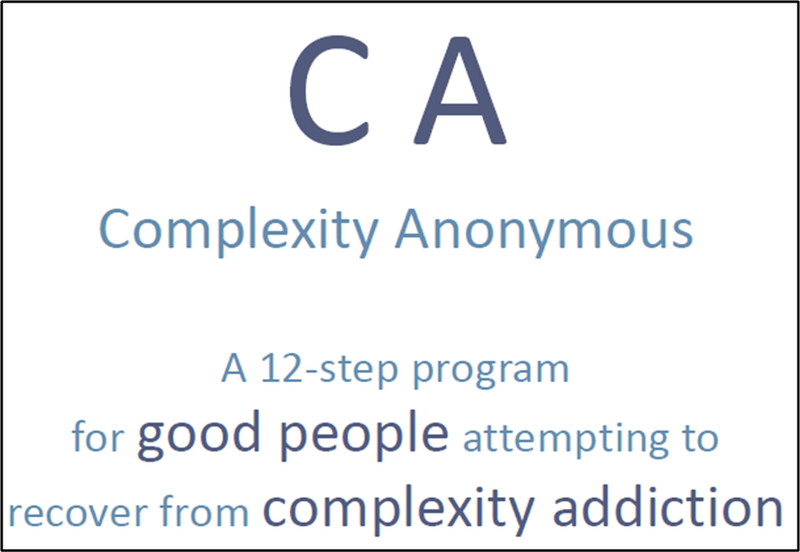 First, the program built cleanly as expected because the compiler provided the free “move” operations for the Msg struct. 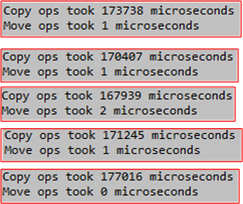 Second, the following, 5-run, output results proved that the compiler did indeed perform the deep, under the covers, “move” that my man Herb promised it would do. If the deep move wasn’t executed, there would have been no noticeable difference in performance between the move and copy operations. From the eye-popping performance difference shown in the results, we should conclude that it’s time to start replacing copy operations in our code with “move” operations wherever it makes sense. 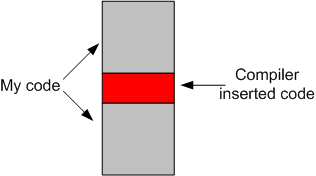 The only thing to watch out for when moving objects from one place to another is that in the scope of the code that performs the move, the internal state of the moved-from object is not needed or used by the code following the move. 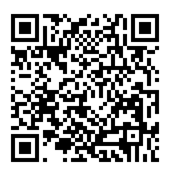 The following code snippet, which prints out 0, highlights this behavior. Bjarne’s talk was titled “Make Simple Tasks Simple” and Herb’s talk was tiled “Back To The Basics! 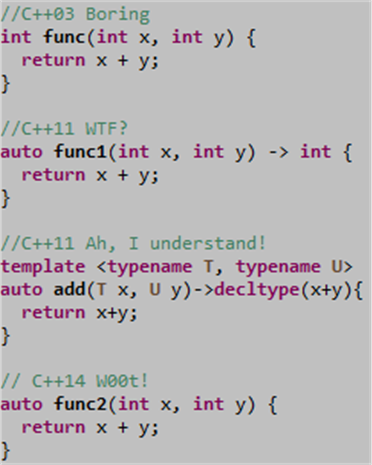 : Modern C++ Style“. Since I abhor unessential complexity, I absolutely love the fact that these two dedicated gentlemen are spearheading the effort to evolve C++ in two directions simultaneously: increasing both expert-friendliness AND novice-friendliness. Do you see that teeny tiny dot at the end of the big arrow down on the lower right edge of the circle? Well, I don’t come anywhere close to qualifying for membership with the cats inside that dot… and I’d speculate that most advanced feature proposals and idiom ideas, whether they are understandable/teachable to mere mortals or not, originate from the really smart cats within that dot. 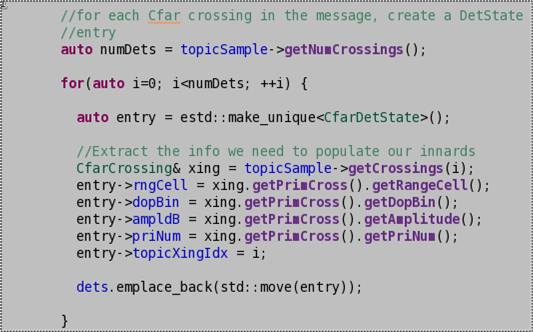 By gently but doggedly communicating the need for lowering the barriers to entry for potentially new C++ users while still navigating the language forward into unchartered waters, I’m grateful to Herb and Bjarne. 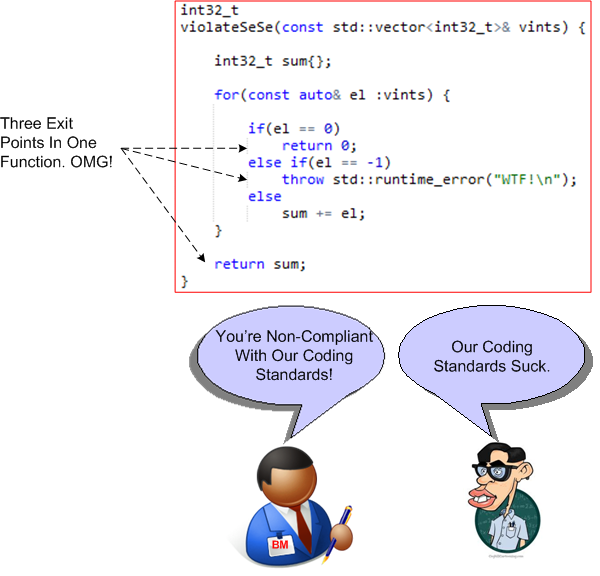 Because of these men, the ISO C++ committee actually works – and it is indeed amazing for any committee to “work“. Woot! Now that I’ve stashed the case against SE/SE nazi “enforcement” on this blawg, I’m armed and ready to confront the next brainwashed purist on the matter.